You might think that a guy who can get a movie as weird as The Shape of Water greenlit can do pretty much anything he wants. 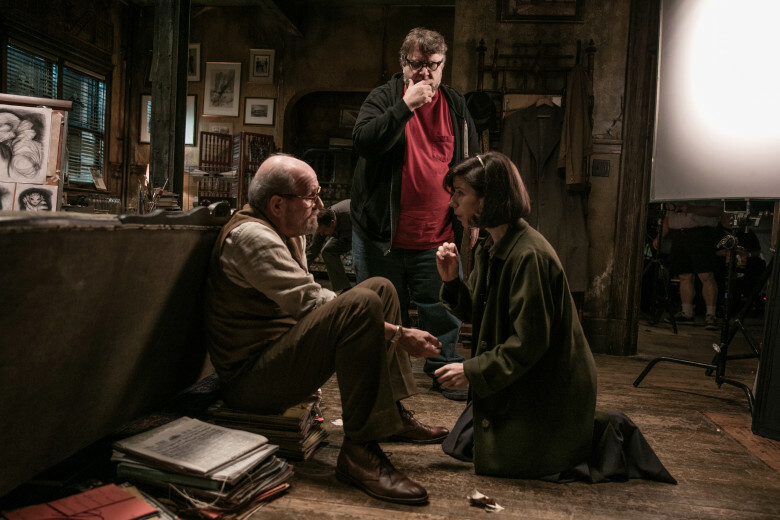 Well, that hasn't always been the case for Guillermo del Toro, who has had more than his share of projects crash and burn without a single scene being shot. Who can forget At the Mountains of Madness, a passion project he threw himself into but never saw the light of day? Del Toro has taken it upon himself to release a full list of the many unmade projects he's spent a good chunk of his life working on, and damn, we're really missing out on some good stuff. Okay, a little bit about some of these. The Witches was a script del Toro wrote as a remake of Nicolas Roeg's 1990 dark horror-comedy. Robert Zemekis was brought on to direct it and chances are slim he'll use del Toro's screenplay. Oh, Justice League Dark. >sigh< This was the paranormal Justice League film del Toro had been working on that would have featured characters such as John Constantine, Swamp Thing, Deadman, and Zatanna. Del Toro left it a few years ago and the project really hasn't gone anywhere. We got an animated film out of the premise, though, although chances are a live-action one is highly unlikely. Del Toro's vision for Beauty and the Beast was set up at Warner Bros. and also would've starred Emma Watson. But when it died as so many del Toro projects do, Watson jumped ship to Disney and the rest is box office history. At the Mountains of Madness, an adaptation of H.P. Lovecraft's horror novel, was a film del Toro wanted to make more than any other. He toiled at it for a long time, and even had Tom Cruise on board to star, but this was at a time when studios were suffering heavy losses on expensive films, and Warner Bros. was fearful of a big budget R-rated horror with no obvious mass audience appeal. Del Toro's remake of the 1966 sci-fi adventure Fantastic Voyage is still fairly recent. He was going to take it on following The Shape of Water but as of now he's on a bit of a hiatus, so it's possible this one still happens. However, that del Toro saw fit to put it on this list makes me think that may not happen. Pacific Rim Uprising didn't have del Toro's involvement at all, despite his development of a sequel for years. Ultimately, this was another one that came down to costs and creative direction. Del Toro calls his version of the script "very different" and I hope some day we get to see what that would have been. Before the Hulk became too popular for Marvel to water down, they considered the idea of a TV series with del Toro directing the pilot. Doubtful anything close to this happens now, unless it ends up part of Disney+ and Mark Ruffalo agrees to it. So what's the point of all this? Del Toro is basically giving us a window into the amount of time he has spent on things that never happened, so when people complain that he doesn't make enough movies they can see that he stays busy. We can all keep hoping some or all of these projects eventually see the light of day, and there's some reason to hope. Del Toro's current Pinocchio project would have been on this list just a few months ago, but now it's in development at Netflix. DC Area Film Critics Assoc.